English is Sublime LMS language default, but you can choose to view the Sublime LMS interface in another language. In the Help Corner, click the Settings link. 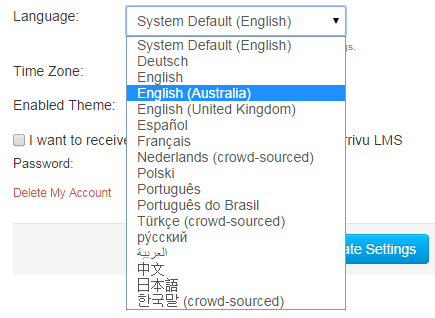 Choose your preferred language in the Language drop-down menu. View Sublime LMS in your preferred language.